We’ve been having an up-and-down winter in our neck of the woods, how about you? Some days are warm, others are cold, rain here, flurries there…our spring flowers are so confused! February has started out rather pleasant. We haven’t even had our first snow of the year…yet. 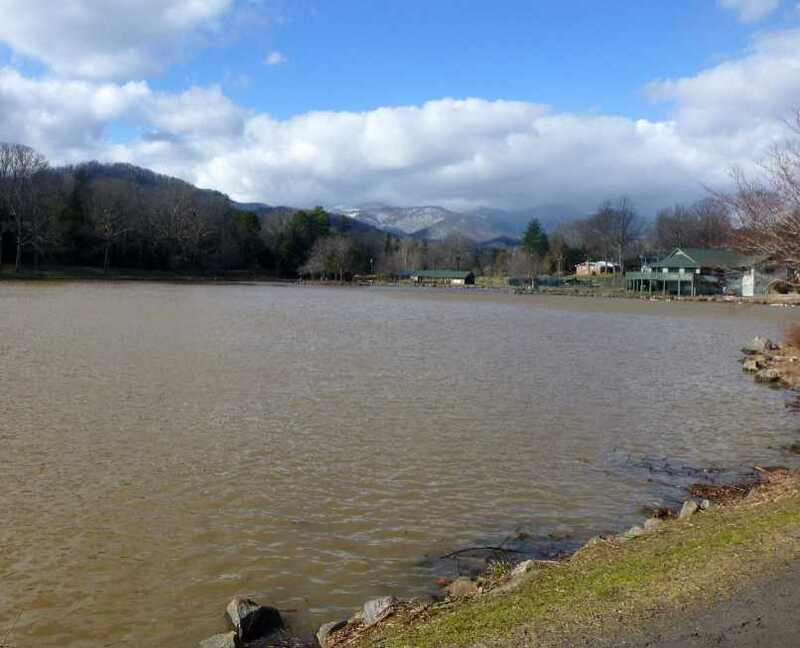 But we know the higher elevations along the Blue Ridge Parkway have gotten snowfall, so we decided to take an afternoon to go to Lake Tomahawk Park in Black Mountain, about 15 minutes west of the Inn on Mill Creek. 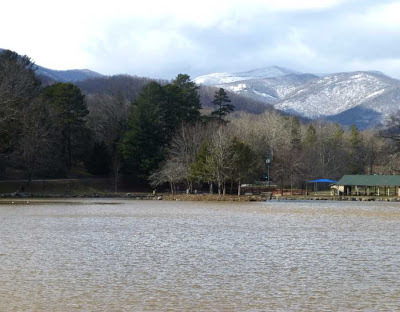 Lake Tomahawk has great views of some of the more prominent peaks on the Parkway, including the Craggies. We wanted to see a snowy North Carolina mountain backdrop. We were not disappointed! And then, as we were walking Csaba and Bugsy, the innpugs, on the half-mile loop around the lake, we saw something just as beautiful as the scenic backdrop: a Great Blue Heron. 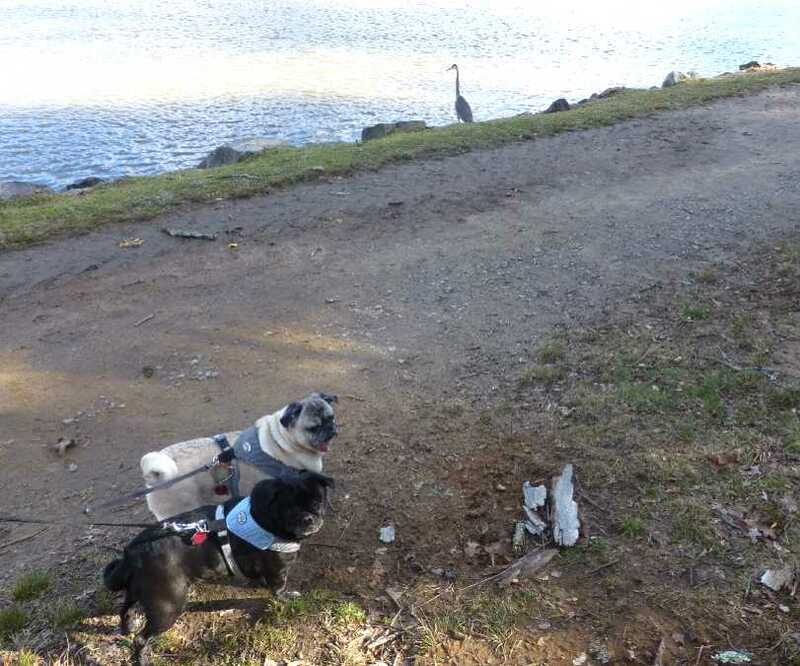 Of course, the innpugs could not have cared less since they are generally oblivious to most wildlife. 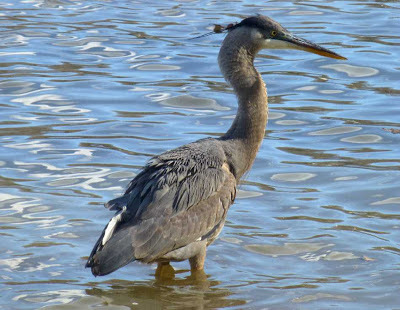 This entry was posted in Uncategorized and tagged birding, Black Mountain, Winter by Inn on Mill Creek. Bookmark the permalink.